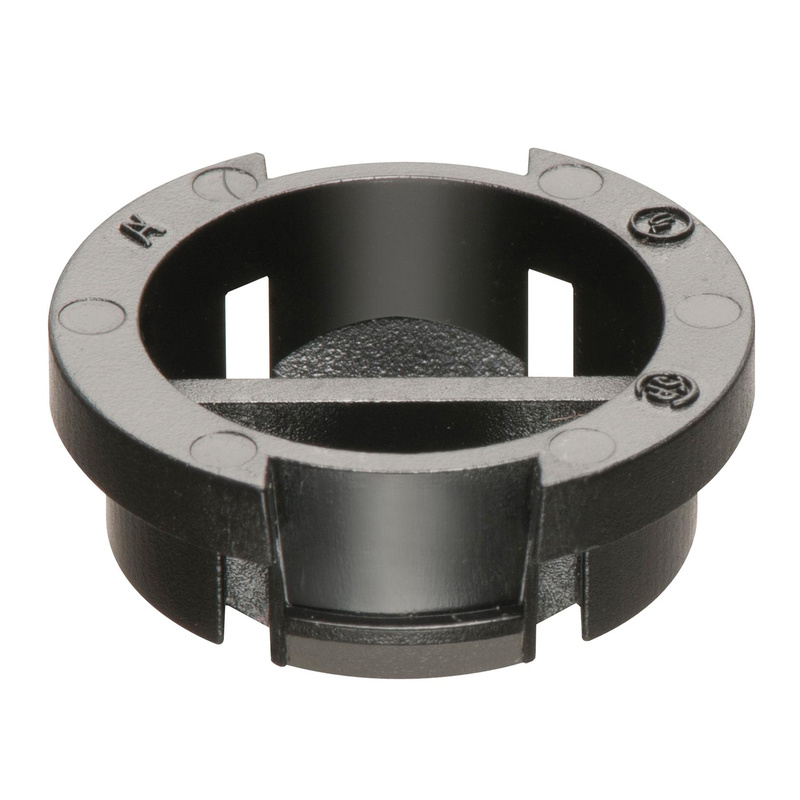 Arlington Black Button™ Non-metallic push-in connector of trade size 3/8-Inch, features plastic construction for longer endurance. This connector in black color, accommodates one/two 14/2-AWG, one/two 12/2-AWG, one 14/2-AWG and one 12/2-AWG and one/two 10/2-AWG conductors. It is suitable for NM cable. It measures 0.996-Inch x 0.54-Inch. Push in connector is cULus listed and CSA certified.